Because crossflow (or horizontal flow) intercoolers sit low in the opening of the front bumper, it is usually found in compact sports models. They are often mistaken for a traditional radiator due to the position they occupy on the vehicle — as a result, they are often not noticed by the untrained eye. The design of the intercooler means the air has further to flow. Therefore, more heat is rejected as the air spends a greater amount of time in the intercooler. You’ll need to get the balance right between heat rejection, flow restriction and pressure drop. The greater the pressure drop, the harder your vehicle has to work to overcome the resistance. 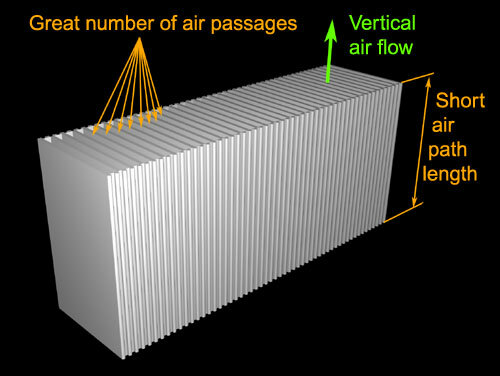 Unlike crossflow intercoolers, vertical flow intercoolers have shorter airflow paths. 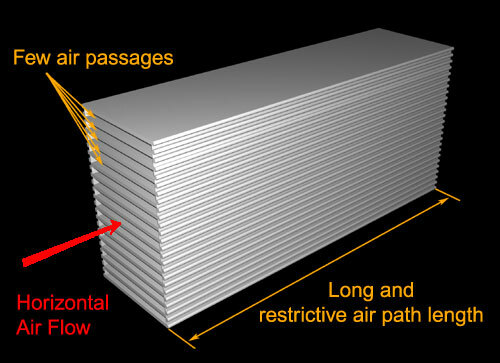 This means that the air can move more easily which, when teamed with the shorter distance, results in reduced heat rejection. However, the car doesn’t have to work as hard to overcome resistance to flow, as it can operate with a higher pressure drop. While vertical flow intercoolers may seem like the obvious option, you should also consider that they require a lot of custom work to fit. This can be costly and may not be possible with some models. Now that you know the difference between the two main types of intercoolers, you can decide which is the best for your vehicle. If you require further information about the coolers though, you should always contact a reputable retailer, who will be able to point you in the right direction.